Ah yes, group shots. So not my thing. I don't have steady hands. And when i do manage to get a clear one, everyone decides to blink. Tripod's don't make an appearance, unless Nibu is around. So i just wind up firing away, like a machine gun. Which explains this pic. 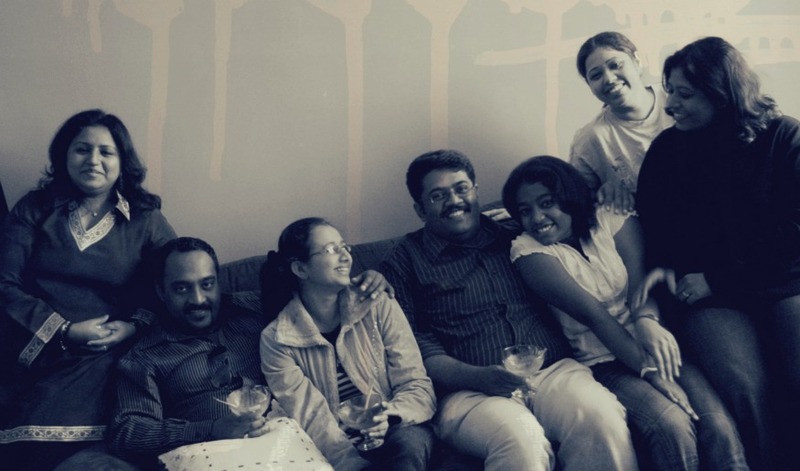 One from the vault - taken at home on a lovely winter afternoon, after a sumptuous lunch of Andy's signature dishes.